listening , invented instruments, sounds, places, noise, participation, performance, electronics, backwards, underwater sound, repetition, thresholds of perception, psychoacoustics, field recordings, hydrophones, binaural recording, sound mapping, installations, movement, interfaces , live electronics, orchestral textures, improvisation , devised musics, circuit bending, vegetables as instruments, long durations, extreme musics, ultra minimalism, repetition (again), “dirty electronics”, site specific performance, collaboration, hacked electronics, radio, sonification, visualisation, timestretching, film, private musics, infrasound, game structures for composition, nocturnal sound events, music as a place to be, education, sounds of the universe, science / art collaboration music for and with dance, sonic art, organ pipes, acoustics, music and architecture, notation………………..
Part of a series of pieces exploring field recordings with generated materials and other incidental sounds. Pholadidae, known as piddocks or angelwings, are a family of bivalve molluscs similar to a clam.Pidocks are unique in that each side of their shells is divided into 2 or 3 separate sections. Furthermore, one of the piddock’s shells has a set of ridges or “teeth”, which they use to grind away at clay or soft rock and create tubular burrows. The shape of these burrows is due to the rotating motion of the piddock as it grinds the rock to make its home. The piddock stays in the burrow it digs for the entirety of its eight-year lifespan, with only its siphon exposed to take in water that it filters for food. When the piddock dies and leaves an empty tubular burrow, other marine life such as sea anemone, crabs and other molluscs may use the burrow. An experiment in seeing whether the dronespace pieces i’ve been making have a wider audience. famous for being the most featureless map square in Britain. It was dark, very dark, and very still. After a while (at about 4:33″ which was a bit of a coincidence) a single van came and drove past and I listened to the sound vanishing into the distance. Following the premiere screenings at the Drone Cinema Festival in Leiden and Seattle my audiovisual drone composition Mode 5 Down the Mountain is now online. Mode 5 Down the Mountain: In 2014 I was working at the Verbier Festival in Switzerland leading composition projects with young musicians. On my day off the weather was against me and I found myself at the top of the hill in rain with fog closing in all around. Somewhat dismayed I boarded the Telecabine at Savoleyres to go back to the village dangled the microphone of my recorder out of the window and recorded the journey. All the material comes from this recording with the addition of synthesised drones and images generated from the spectral content of the sound. Some new audiomulch improvisations and a soundcloud stream. Field Notes project Movies now online. Drawings of journeys made into music. I recently had to have a 24hour blood pressure monitor, (everything is fine). I ended up with 24 hours of data consisting of Systolic and Diastolic pressure as well as heart rate. The machine took these readings every 20 minutes for 24 hours (with a longer interval at night time). Systolic and Diastolic pressures are mapped directly onto pitch and the heart rate is mapped onto tempo (using audiomulch). After one cycle of 24 hours there are harmonics added into the sound so that the sound becomes more complex. Speaking breath is the 4th in a cycle of pieces that explores the sound of the Shakuhachi in a variety of environments. The previous pieces have included a performance in a 360º cinema (Rising Breath) an old power station in Budapest with live interactive video (Empty Breath) and a piece in a church in Leeds with a bass organ pipe and live electronic manipulation of the sound (Turning Breath). In Speaking Breath the Shakuhachi sound is integrated with a collection of organ sounds focusing particularly on the moment when the pipes “speak” and elongating this to reveal previously unheard detail. All the sounds are created from samples of the organ in the church which was in a state of reconstruction after a major restoration project. The ensemble was made up of a group associated with the church and other musicians in the concert who surrounded the audience. A new film of the latest Fanfare project ……. SoundSpiral is a uniquely interactive audio playback environment, holding forty-eight speakers within a specially-designed inflatable venue. The first work to be shown in the space will be Babel Spring, by Amie Slavin and Duncan Chapman. The whole project is the brainchild of Amie Slavin who has made an extraordinary piece using multiple languages for it’s first incarnation. The music I have made takes fragments of these languages and using specially designed granular processing creates pitch based music out of them. The South Holland Symphony is a project with the London Mozart Players and three communities in the South Holland district of Lincolnshire. Over the next few months I am going to be composing an orchestral piece for the orchestra based on material generated by participants in workshop sessions. The project aims to create a new piece of music which reflects the particular landscapes and people of the area. Here are a couple of things from last weekends workshops in Spalding and Holbeach. In a small workshop with three enthusiastic young people we created this section of music. At the end the fog will lift and become a very low sound (double bass rumble) and very high one (Violin harmonic) with transcriptions of birdsong in the middle. The fog music is always falling and is an exploration of the idea of the land becoming inundated , in the past by the sea and now by the fog…………….. This is an orchestral simulation played by computer so some of the sounds are not accurate representations of how it will sound when played by the LMP. Demos: As part of the preparation for this I created these two short pieces for string quartet which were performed at LMP concerts. 1: Horizon melody and a field of sprouts…….. uses the contour of the landscape in this photograph to generate a melodic line played by the first violin, the second violin plays an accelerating and decelerating pulse following the edge of the field while the lower parts play rotating material based on the shape of the plants….. Since 1994 they have met every January to start the year with some sonic research that involves the creation of an original piece of music. This process has been partly one of self documentation as well as a way of reviewing the last 12 months in sound. The works produced have therefore become a kind of snapshot of our individual and collective work and travels from the preceding year. By “documentising” ourselves we have sought to create an oasis of reflective practice that both looks back and forwards. On many occasions we have discovered connections in our sound palettes and worked these into the pieces. Sonic materials have included field recordings from all over the world as well as voice, live acoustic instruments and electroacoustic processing. A short film made at La Bambooserie (http://www.bambouseraie.com/) in the summer of 2011, the soundtrack is entirely composed of Shakuhachi breath sounds played by Mike McInerney and collected for a “Turning Breath” performance. Three short pieces made as the start of a project with Wolverhampton Art Gallery and Museum in response to their exhibition of work by Ed Ruscha. All played live using a mixture of field recordings. This will form part of a performance installation at the gallery in October. Walking round the church at Conques, camera on my head pointing upwards, soundtrack from fragment of rehearsal that was taking place at the time stretched to last the length of the walk…….. The Sound House is an online project for the Wigmore Hall that draws on their extensive archive. Over the last 9 Months I have been working in collaboration with Dotank studios (who made the excellent Isle of Dogs soundmap) and Rus Pearson (http://ruspearson.com/) to create a series of “rooms” that contain sounds and music relating to the Hall, its historical context and what happens there now. Stuck in a bin ? This short track was made today (Thursday 26th) as part of our preparations for Mondays event. It features field recordings we have recorded on our travels around the world , water sounds from Ireland, France, Australia, Switzerland, Japan, Derbyshire as well as live voice , synthesised layers and a very stretched version of a well know piece of Tchaikovsky Ballet music (a prize for spotting what it is). also coming in the Huddersfield Festival (21st November) a solo performance with Rhubarb sounds in the dark ! West Yorkshire’s proud history of rhubarb-growing is providing inspiration for a new Learning and Participation project created by Huddersfield Contemporary Music Festival. Rhubarb, rhubarb, rhubarb involves sound artist, musician and educator Duncan Chapman working with pupils from Overthorpe Junior, Infant and Nursery School in Thornhill, Dewsbury to create an interactive online installation using audio and visuals from the farming of local rhubarb. Yorkshire’s famous ‘Rhubarb Triangle’ is an area between Wakefield, Morley and Rothwell known for producing forced rhubarb. This technique for growing rhubarb, which is originally native to Siberia, became popular in the 19th century. The plants are grown outside for two years then transferred indoors to sheds that are heated and kept in complete darkness, prompting the sprouting of new stems with a prized tenderness and sweet flavour. In 2010 Yorkshire Forced Rhubarb was awarded European Protected Designation of Origin status, putting it in the same category as champagne, gorgonzola and Swaledale cheese. A version of the piece “The measure of all things is the breath” , this version has a sequence of images of lights found in lifts on the docklands light railway. The sound is all generated using a Sibelius version of the score (Score is in the SOUNDS section of this website) which has then been performed using a series of live Ableton patches. Staying in a hotel in Birmingham this week doing a project with the BCMG, there was a huge plasma screen TV in the room , but all the channels were different types of video interference. maybe this will become a more formed piece ? what are the fundamental elements ? participation at all costs ? unique opportunities , recognising them and building things from them. ‘Found in Ladywood’ will involve the Leo String Quartet, City of Birmingham Symphony Orchestra. The quartet will take its renowned classical repertoire out of traditional settings and into Ladywood Fire Station for an autumnal Shostakovich Quartet number 8 performance. The project will also feature a unique commission in the form of an original composition for Ladywood. The piece will be created and lead by Composer and Music Animateur Duncan Chapman collaborating with Ladywood residents in a series of artistic workshops and the Leo Quartet to produce the piece for the final event. The project has been inspired by both the CBSO’s ethos to reach out and engage new audiences, and ‘Lost in Ladywood’ a 2007 project by artist Simon Whitehead, commissioned by MADE. Found in Ladywood recognises that there is a large percentage of the community that have not experienced ‘live’ classical music – it aims to take classical music out of its traditional settings and into the heart of the community, making it accessible to everyone. The journey leading up to the performance will involve members of the community working with EC-Arts to identify a non traditional performance venue free of charge. The aim of the project is to collaborate with members of the community to change perspectives of a non traditional performance venue by transforming it for an event. A series of workshops will be implemented and delivered in Ladywood to teach a core group in the community event management skills. The community group will plan and deliver the October event by participating within all aspects of planning leading up to including the event day. Simultaneously ’artistic workshops’ have been lead within Ladywood by Composer Duncan Chapman, renowned for his experimental approach and technologically advanced festivals. A recent example of Duncan’s work was a Nintendo DS orchestra that took place on the beach at the Aldeburgh Festival. Duncan is working with members of Ladywood community to record the ‘sounds of Ladywood’. The sounds will inspire and form part of an original composition specifically for Ladywood to be performed on the 10th October 2010. The Leo Quartet (Byron Parish, Jane Wright, Mike Jenkinson and Kate Setterfield) is a quartet of leading players from the CBSO who formed in 2004 and have built a reputation for vibrant performances of diverse repertoire. Here’s a bit of Blurb from the ROH website about this years project. Can you create a piece of music which is catchy, powerful, attention grabbing, and only 30 seconds long? We are looking for brand new musical fanfares to be broadcast before performances at the Royal Opera House to let the audience know it is time to take their seats. If you are aged eleven to sixteen we want you, on your own or in groups, to create your own fanfare of no more than 30 seconds to win the chance to have your music arranged, recorded and played at the Royal Opera House. The composers of the winning fanfares will attend a workshop with a professional composer to develop and arrange their fanfare for the Orchestra of the Royal Opera House. Winners will also attend the recording session, and will be invited to a performance at the Royal Opera House to hear a premier broadcast of the final fanfares. Touring round Scotland and featuring an extraordinary line up of performers. 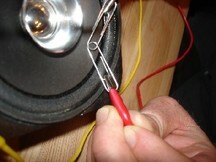 I’m curating the Electric Loops days as well as running workshops in schools and with teachers. recording the sound of the bricks being scraped………..
It’s time to throw out the guide book and open your ears as we invite you to take a guided tour of the East End, through the experiences and imaginations of local people with compelling stories to share. Working with artists Marcia Farquhar and Duncan Chapman, five very different local residents have created sonic guides, providing unique perspectives into the area, revealing the connections and locations that matter to them. Simply explore each individual’s piece online, print out the map and download the mp3s, then come to the area and listen through your headphones to the sounds of the East End, as heard by the people who live here. Time Dance was a collaboration in 1997 between choreographer Catherine Seymour, artist Tatsuo Miyajima with Duncan Chapman (Composer) and what was described as “an extraordinary cast”. The performance took place on the roof of the Royal Festival Hall with a sound installation (recording below) and projections onto the sides of the building. This co-incided with an exhibition of Miyajimas work at the Hayward Gallery. Here is a recording of the sound installation that was installed in the roof garden on top of the Festival Hall, the Latin Names are the names of the fossils that are in the marble that clads the building and are spoken by Sarah Goldfarb other sounds include signal horns, sounds made from Oyster Shells and environmental recordings. Acoustic Ecology: Acoustic ecology (sometimes called soundscape ecology), is the relationship, mediated through sound, between living beings and their environment. Anamnesis: an effect of reminiscence in which a past situation or atmosphere is brought back to the listeners consciousness, provoked by a particular signal or sonic context. In the project we will be making work that explores the soundscape of where we are in Lambeth. We will think about how that has changed over time and project some sounds forward in time into the future. The final piece we will be making will form the basis of an interactive installation that will be placed in the new CLC building in Clapham. Some questions that we can address during the process. What are the unique sounds of your school / locality ? What were they in the past ? What do imagine they will be in 100 years time ? What sounds would you like to preserve for the future and how can we preserve them in a way that the people in the future will be able to hear them ? Can we picture sounds in ways that other people will be able to “see” how they sound ? Some of the work , all of these are in the form of Past/Present/Future sequences and this material will be used in the final installed piece in the new building. The workshops had participants from Brussels, Aberdeen, Preston, London and Budapest working using a free online whiteboard and chat environment to create 2 pieces. The audio was streamed back to the remote participants using Tinychat and Skype so that the people involved could hear the results. What is the sound of electricity ? ………. What is the smallest unit of audio information? ; and image or sound – can we use fragments of image to generate sound material? For this concert of music by Rued Langgaard , I made an electronic insect interlude. To many people, the music of the twentieth century avant-garde (which I so love) only exists as a soundtrack – to the strangeness of space (2001, A Space Odyssey) or to scenes of disturbed criminality (the shower scene in Psycho). Elizabeth Lutyens, one of the greats of English modernism, earned much of her day money writing soundtracks for Hammer House of Horror. Langgaard is at home in this b-movie horror scenario aspect of the avant-garde. His topics (insects, the abyss, the music of the spheres, the Antichrist) seem to relish the forbidden and perverse. His is no worked out system, in the vein of Scriabin; if a white-note chorale, which would not be out of place in the simplest of Victorian hymnals, suits his purposes, he will compose one; if an atonal melody of the most angular kind, then that is what he will use. What is shockingly modern is his attitude to form, and to scale. Nothing ever develops in Langgaard’s music – ideas are either too short or, by the normative standards of the concert hall, continued too long without development. It is this combination – of an atmosphere of strangeness and spectacle with a sense of sound as continua of indeterminate length – which speaks to us at the beginning of the twenty-first century. It is an aesthetic which begs the use of new technology. With thanks to Richard and Lucien Douglas-Green, of Green Studios, Plymouth, for endless technical support and advice. millions of little critters !! A series of headphone pieces created with members of CoolTan Arts (http://www.cooltanarts.org.uk/wp-content/uploads/2009/05/E-bulletin-August-20091.pdf) and Young Minds (http://www.youngminds.org.uk/videos-and-podcasts/podcasts/hayward-audio-bites/?searchterm=Hayward) made in response to the exhibition “Walking in My Mind” at the Hayward Gallery summer 2009. The pieces played on headphones in the pavilion overlooking the river. please don’t touch the white dots ! I’m making a series of pieces for this festival at Kings Place , London. My event is on Saturday October 3rd @ 4.30 and features a number of new works made in collaboration with a group of young people and three musicians from the ensemble. We will also be playing a piece which is entirely generated by imgage to sound software (using this http://hem.passagen.se/rasmuse/Coagula.htm) on 8 computers linked to 8 loudspeakers. I’m also writing an acoustic version for Bassoon (Adam Mackenzie), Trumpet (Bruce Nockles) and Viola (Bridget Carey) so that the same sequence of sound events happen in both pieces. The start of a project to make instruments to play a fanfare from the balcony of the Opera house during the festival. At the end of the project we will play the music here to the audience who have turned up for an evening at the opera ! NewSound was a project at Kings Place in London as part of the London Sinfonietta “ART OF NEWS” weekend. I worked with Zoe Martlew and Bruce Nockles from the Sinfonietta, a group from the Copenhagen Youth project and Poet Kenny Baraka to create a sound installation that was presented on Talking Paper. This was made for the project by the extraordinary Patrick Furness and David Cranmer. 100 sheets were scattered about the foyer spaces which could be played by pressing the PLAY button. Artistic Director of Salamanda Tandem, choreographer and composer Isabel Jones was commissioned by Opera North and The Bonington Gallery to embark on a new period of research and development exploring the question ‘What is Opera?’ . To conduct this research Isabel brought composer and sound artists Duncan Chapman, together with sculptor and visual artist Gerard Renvez. ‘Corrosion’ treats the body, voice and material to an accelerated state of change and flux, organic and manufactured chemical processes interact …sounds decay, pulp dries out, metal disintegrates, bone imprints, stone crumbles, clay cracks, water evaporates…. In the accumulation, distillation, and sedimentation a transformation occurs…. Traces remaining are left behind and out of the corrosive debris arises something beautiful. Corrosion installation was performed at the Studio Theatre, Leeds Metropolitan University, Leeds, and at The Bonington Gallery, Nottingham during March 2003. A sound installation for Forbury Gardens in Reading. I was one of 7 artists commissioned to make soundworks for the Gardens. For a year audiences could pick up a portable mp3 player and listen to specially created works for particular locations in the Victorian Gardens. The sounds of bells and gongs signal significant events in our lives. Beginnings and endings, birth, death, and marriage are all marked by these sounds. Bells are a universal signifier of stopping, pausing and change. In the past, the days in the Abbey were structured around the sound of bells. A bell signalled the time for monks to rise at 2am to sing the Office of the Lauds, and other bells signalled the time for work, silent contemplation and meals. In the prison the bell marks the division of the day into work, mealtimes and sleeping. A joint project between Royal Albert Hall Learning & Participation, the Medical Research Council Clinical Sciences Centre and Durham University gave schools in both London and County Durham the chance to engage with these concepts and to illustrate their own interpretations through art and sound pieces. Choosing from a range of images, from stem cells to supernovas, students selected one that captured their imagination. They then created a partner for it: a drawing, painting or piece of 3D art. In response to images from outer space they created pictures showing the microscopic world. Other students depicted outer space in response to a microscope image in accordance with the Scopic theme. Almost 300 pupils from 11 schools entered the Scopic competition. A selection of the most impressive artwork forms the basis of the final exhibition. Their work was assessed by a panel of judges including Baroness Greenfield, Dr Brian May, Lord Robert Winston and Sir Patrick Moore. Students from 3 of the schools then worked with Duncan Chapman, a sound artist and composer to produce sound pieces representing each of the pieces of artwork in the exhibition. Each panel in the exhibition had an individually created soundtrack. The Scopic exhibition ran at the Hall from 9th – 29th May 2009 before moving to a permanent location at Durham University. Mikrophonie I is for Tam Tam and Live electronics, the notation of the piece specifies precisely how the micophones should be moved, what materials sould be used to play the Tam Tam and how the electronics should interact. In our project we created scores for these kind of things concentrating on music gestures between the live instruments, microphonist and electronics.